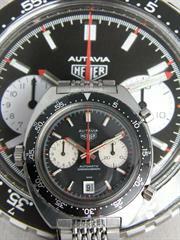 Autavia 1163 MH "Derek Bell"
Proberly the most famous Heuer, if we forget the Monaco. 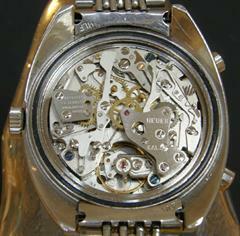 It is an impressive watch with the characteristic layout of crown and pushers, because of the Caliber 11. 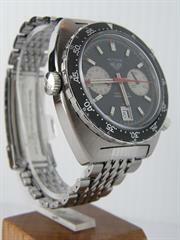 The Rice Grain bracelet completes this chronograph. 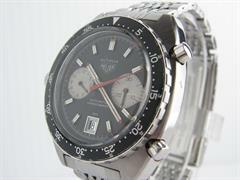 It is named after the English race driver Derek Bell who wore the watch. 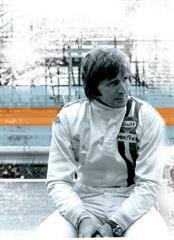 He also participated in the filming of LeMans with Steve McQueen.